Hi there! 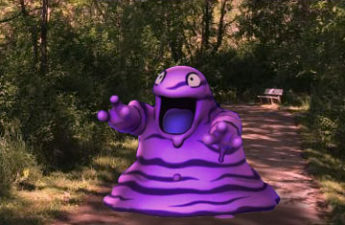 Name’s Kevin. 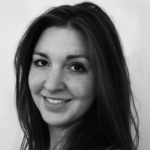 You probably came here to read about all the cool things that my wife, Katherine is creating, but I thought I’d interrupt briefly if you don’t mind. As a lifelong gamer, I was raised on a healthy diet of NES, SNES, and N64. I’ve played a wide variety of genres and consoles, but never really thought about “officially” recording my experiences until now. 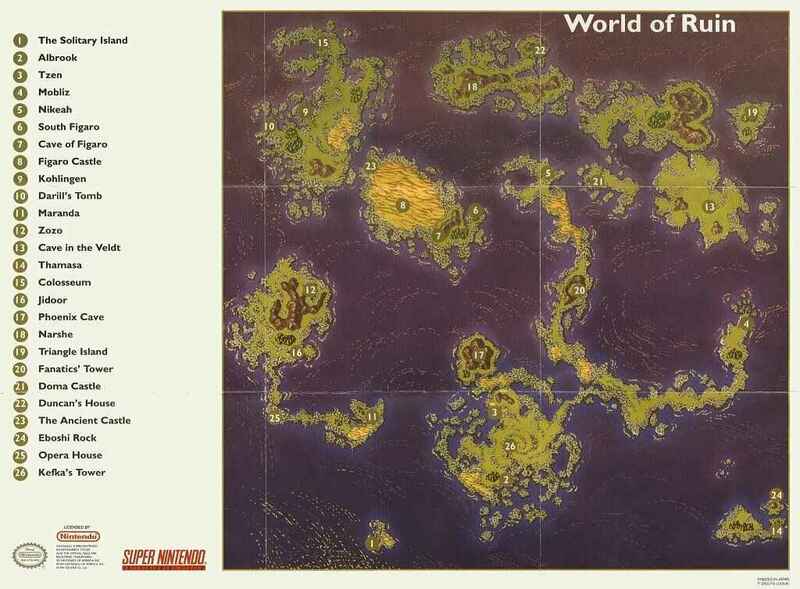 I recently played and passed a popular role playing game called Final Fantasy VI and enjoyed it so much, I just had to share my thoughts publicly. Final Fantasy VI (originally marketed as Final Fantasy III in the US) was released in 1994 and published by Squaresoft. An ambitious title for the Super Nintendo Entertainment System, it became what many gamers consider to be the best role playing game (RPG) of all time and by extension, the best Final Fantasy game in the series. There are many reasons why this is the case. From its combination of linear and open-world gameplay to its high level of character customization, with over 30 hours of playtime, Final Fantasy VI quickly became a true SNES classic. 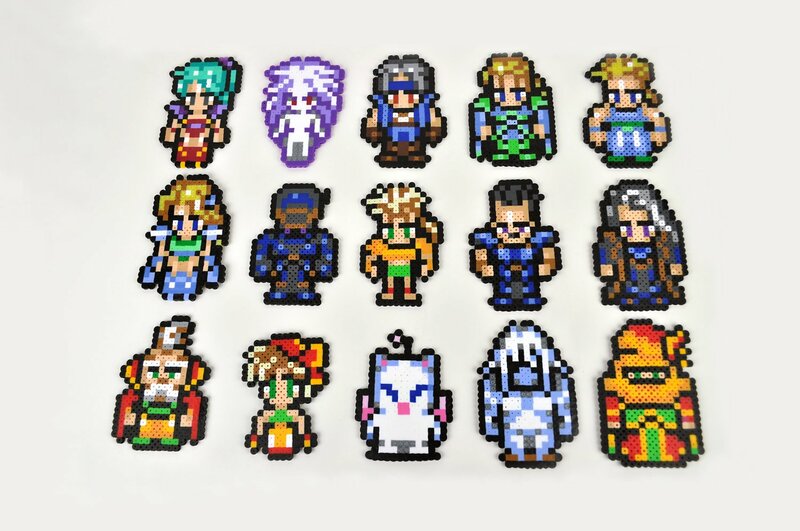 FFVI allows players to form a party of 4 from almost 15 playable characters. Occasionally players will be forced to play as certain characters or form multiple parties of 1-4 characters so you better make sure that you’re focusing on powering up more than your 4 favorites in the game. In particular, the last dungeon of the game requires 3 separate parties. 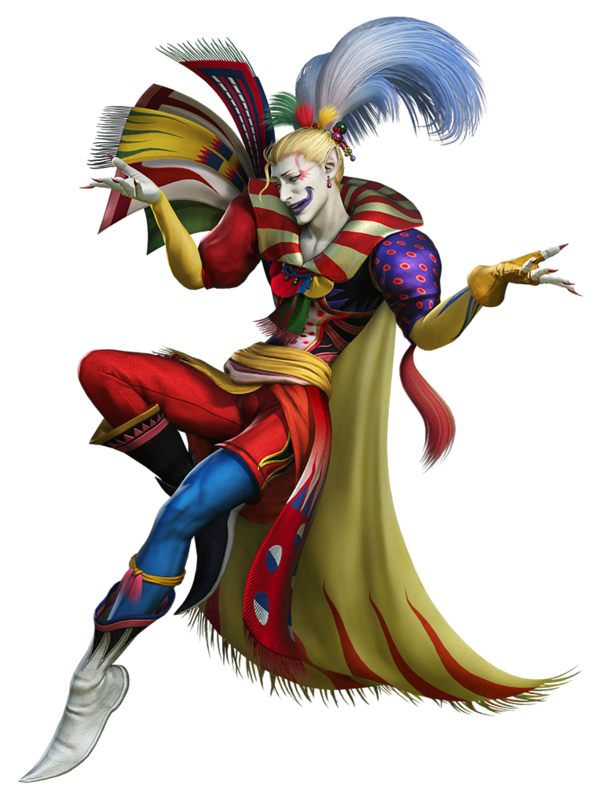 The main antagonist, Kefka is one of the most sinister, evil villains in all of gaming history. When he first appears, he is thought of as a joke by many of the game’s other characters and little is made of his heinous acts such as burning an entire city, his cruel treatment of his soldiers, etc… Most villains in any medium typically include some small shred of humanity; something that is a least a little bit relatable, but not Kefka. Kefka is pure evil. Physically, he is depicted as a character with a clown-like appearance and whenever he’s near, one of the game’s most memorable melodies plays shortly followed by Kefka’s maniacal 16-bit laughter. The transition from the first to second half was probably the most frustrating part of FFVI for me. Conquering the “Floating Continent” tends to be the part of the game that most people find tedious and difficult. It was this area that prompted me to enter into my first of two long grinding sessions. After several hours of slowly building character stats, the Floating Continent wasn’t much to contend with and was relatively easy to get through. Then the game changing plot twist occurs and proves how truly wicked the main antagonist, Kefka, really is. *Hint/spoiler, he really wants to become God. And succeeds. 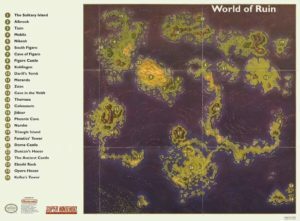 The second half of the game (the world of ruin) is almost entirely open-world. 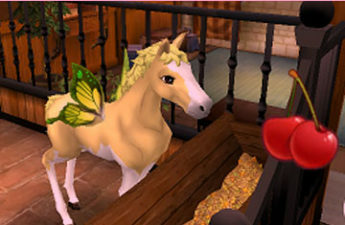 There are one or two essential events required to forward the game on to its conclusion, but for the most part, the player is free to do what he chooses. Also in the second half is the emphasis of one of the game’s core mechanics: the Esper system. Using Espers (strange magical beings which can be “equipped” to each party member) essentially allows any character to learn any magic ability. 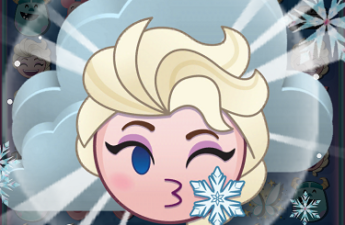 I like this because you aren’t stuck with certain spells for certain characters. In fact, I often found myself training every character to be proficient with every Esper by the end of the game. Part of mastering FFVI involves finding all of the Espers available in the game. Only a few are actually required of the main story line. Once the party is sufficiently leveled up, the final dungeon (Kefka’s Tower) can be explored safely. A quick trip to the tower for the first time, however, made me realize that I needed to enter into my second long session of grinding. One thing that has always plagued me through the years playing FF games is that I never seem to grasp certain mechanics until they are absolutely necessary to progress the story. This is probably why I have traditionally struggled to get through the series. For some reason special abilities, magic upgrades and other helpful things remain hidden in plain sight from me even though they would be extremely useful in earlier phases of the game. Anyway, now with another several hours of grinding under my belt, I took the plunge and waded through the final maps of the game. Final Fantasy titles typically implement a “point of no return” type of scenario where you better make darn sure you don’t need to return to town or complete any last minute quests because… well… you can’t. Thankfully the version of FFVI I was playing (on an iOS tablet device) graciously provided 5 separate save game slots for careful planning and backup strategies. After defeating the final 4 bosses in a row, the game wrapped up and a lengthy outro sequence begins. The more I reflect upon it, the more I love this game. The fact that so much was done on such primitive hardware (at the time) makes me appreciate it even more. 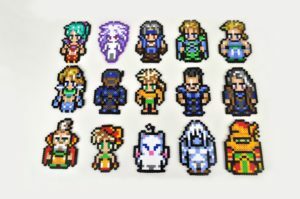 Being a fairly technical person myself, I always love to see how developers can push hardware and software to the max and FFVI was an example of that in almost the purest sense. I completed the game… well at least the main story line of the game. I even went above and beyond by slaying 8 dragons scattered around the world of ruin map, but in no way did I fully complete the game or see everything that it had to offer. With visions of status upgrades, ultimate weapons, dragons, and warriors dancing in my head, I’ll go ahead and call my first video game review done. I’ve made it an unofficial item on my bucket list to complete every Final Fantasy game in the numbered series (I think there are XV now) and have already purchased the first title to play on an old-school NES console. While I’ll be taking a slight break from playing games for a bit, I’ll get back to work on creating my own RPG with a brain full of 30+ hours of inspiration from one of if not the best example of a game from the genre.